The Mickey Mouse Club is an American variety television show that aired intermittently from 1955 to 1996. The Mickey Mouse Club is an American variety television show that aired intermittently from 1955 to 1996. 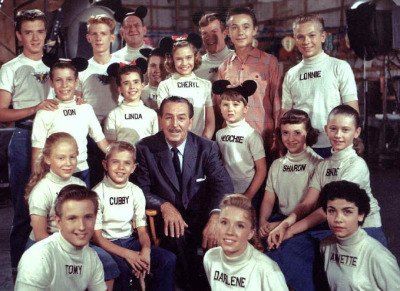 Created by Walt Disney and produced by Walt Disney Productions, the program was first televised from 1955 to 1959 by ABC, featuring a regular but ever-changing cast of mostly teen performers. Reruns were broadcast by ABC on weekday afternoons during the 1958-59 season, right after American Bandstand. The show was revived after its initial 1955–1959 run on ABC, first from 1977 to 1979 for the first-run syndication, and airing again exclusively on Disney Channel from 1989 to 1996. 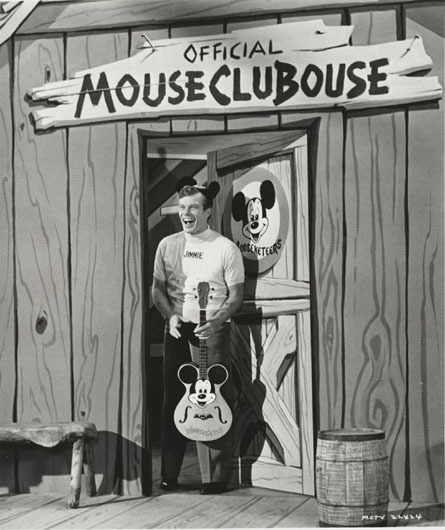 Previous to the TV series, there was a theater-based Mickey Mouse Club. The first one started on January 4, 1930, at 12 noon at the Fox Dome Theater in Ocean Park, California with sixty theaters hosting clubs by March 31. 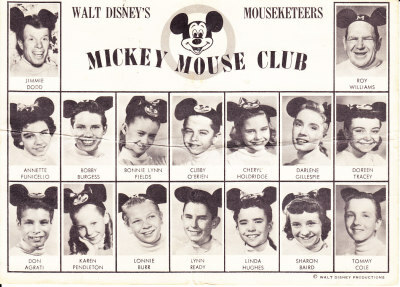 The Club released its first issue of the Official Bulletin of the Mickey Mouse Club on April 15, 1930. By 1932, the Club had 1 million members, and in 1933, its first British club opened at Darlington's Arcade Cinema. In 1935, with so many clubs around the world, Disney began to phase out the club. The Mickey Mouse Club was Walt Disney's second venture into producing a television series, the first being the Walt Disney anthology television series, initially titled Disneyland. Disney used both shows to help finance and promote the building of the Disneyland theme park. Being busy with these projects and others, Disney turned The Mickey Mouse Club over to Bill Walsh to create and develop the format, initially aided by Hal Adelquist. 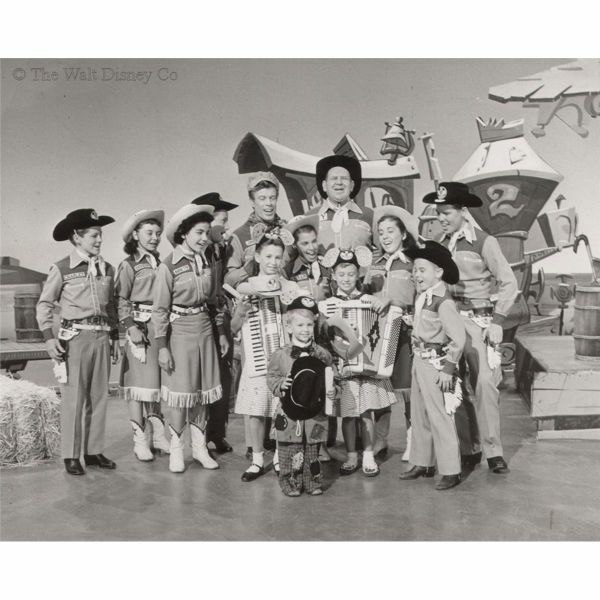 The result was a variety show for children, with such regular features as a newsreel, a cartoon, and a serial, as well as music, talent and comedy segments. 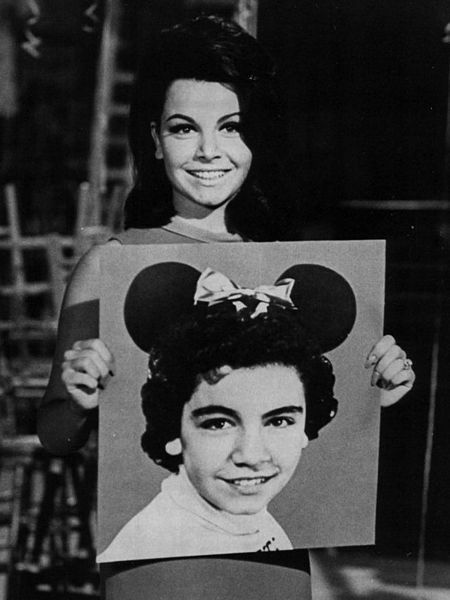 One unique feature of the show was the Mouseketeer Roll Call, in which many (but not all) of that day's line-up of regular performers would introduce themselves by name to the television audience. In the serials, teens faced challenges in everyday situations, often overcome by their common sense or through recourse to the advice of respected elders. Mickey Mouse himself appeared in every show not only in vintage cartoons originally made for theatrical release but in the opening; interstitial and closing segments made especially for the show. In both the vintage cartoons and the new animated segments, Mickey was voiced by his creator Walt Disney. (Disney had previously voiced the character theatrically from 1928 to 1947, and then was replaced by sound effects artist Jimmy MacDonald. Although the show remained popular, ABC decided to cancel the show after its fourth season, as Disney and the ABC network could not come to terms for renewal. The cancelation in September 1959 was attributable to several factors: the Disney studios did not realize high-profit margins from merchandise sales, the sponsors were uninterested in educational programming for children, and many commercials were needed to pay for the show. After canceling The Mickey Mouse Club, ABC also refused to let Disney air the show on another network.Walt Disney filed a lawsuit against ABC, and won the damages in a settlement; however, he had to agree that both the Mickey Mouse Club and Zorro could not be aired on any major network. This left Walt Disney Presents (initially titled "Disneyland," later retitled the Walt Disney's Wonderful World of Color when it moved to NBC) as the only Disney series left on prime time until 1972 when The Mouse Factory went on the air. 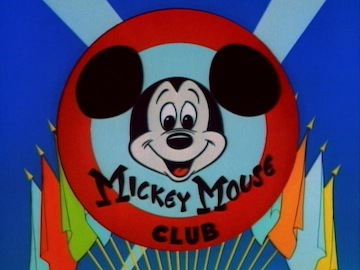 The prohibition against major U.S. broadcast network play of the original Mickey Mouse Club (or any later version) became moot when Disney acquired ABC in 1996, but no plans have been announced for an ABC airing of any version of The Mickey Mouse Club produced between 1955 and 1996 or for a new network series.